Environment protective: the boiler system can be omitted in heating, no burning avoid the pollution to the atmosphere. Cooling tower can be omitted in cooling mode, thus the noise and the mildew pollution brought by the cooling tower can be avoided. Space-saving: boiler house and relative coal ground and residue ground can be omitted, thus the soil resource can be saved. Water-saving: water is just served as a medium, the unit absorb heat from is or let out heat to it to make the room warm or cool. The water source will not be consumed and polluted. 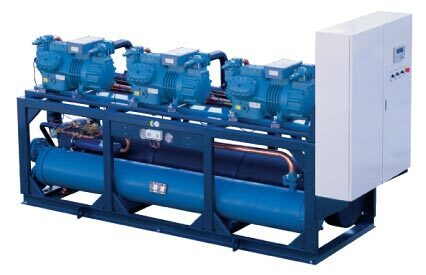 Money-saving: one set of system is used for heating and cooling. One-time investment is only 1/2~2/3 of the traditional heating and cooling mode; the operating cost is just 1/2~2/3 of the traditional mode.